Our community has had a number of President who have provided valuable service to our Samaj. The following is a message and wishes from these dedicated individuals to all members of BBSL. “By the grace of Shree Trikamji Bapu, I had the pleasure and privilege of serving Bardai Brahmin Samaj London as the first elected President, for a period of two consecutive years (1982-83). On the 26th April 1983 the Samaj was registered as a Limited Company (by guarantee) and achieved the Charity Status on the 16”’ May 1983. This is how the present BBSL was formed to cater for the social and cultural needs of majority Bardai Brahmins settled in the Greater London area. Karunashankarbhai followed Anantbhai Dave's successful lead to become president of BBSL in 1984 inspired to continue his progress with the newly formed Bardai Communiuty. During his year in office, Karunashankarbhai actively participated in the establishment of the Federation of Brahmin Associations of Europe. Spurred on by the success of such a large scale project, he and his committee identified that in order for the UK Samajs to have a voice, BBSL would need to unify with fellow Bardai Brahmin Samajs. This led to the initial formation of the Federation of Sri Bardai Brahmin Samajs UK. He worked with Sri Madhubhai Thanki and the committee, to create the first BBSL magazine “Pragati” and members directory. These achievements inspired Karunashankarbhai to stand for election in 1997 and successfully become President for another 2 years. 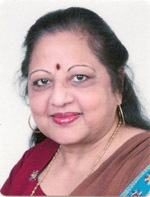 Last year saw the welcomed return of Karunashankarbhai as our Samaj's President and he has sought to take BBSL into the electronic age by instigating large scale projects such as the redevelopment of the Samaj website including convenient online registration, E-Magazine and barcode membership cards, not to mention rebranding BBSL with a new relevent and modern logo. “I have always believed in fairness and equality and feel passionate about allowing the voices of our younger gnatijano to be heard. I have always tried enthuse them to become potential office bearers who can successfully take our Samaj forward for future generations to enjoy and be proud of. Much of the successes achieved by our Samaj this year would not have been possible without the hard work and enthusiasm of my youthful and vibrant committee. I am truly grateful for the dedication they have shown and am excited for the future of our Samaj”. 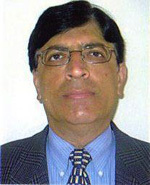 Madhukumar Thanki joined the first London Samaj Committee as a co-opted member in 1984. His quiet outlook hid a very talented maestro, especially with his computing skills. 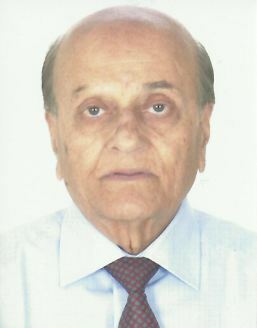 In the very early days of desktop publishing, he was instrumental in setting up the Samaj database, and publishing London Samaj directory and later on the magazine 'Pragati'. His tremendous dedication and ardour for these publications was unstinting, often working through the night to meet printer’s deadlines! He became the Samaj President in 1986 for 5 unforgettable years. During this time, besides using his IT capabilities, his high command of Gujarati, and his sharp negotiating skills, he united not only all Bardais in the Samaj, but the Bardai Samajs under the Federation. 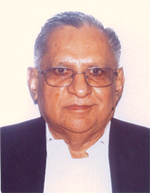 He was the Samaj President for a second time in 1994 for further 3 years. In 1995, he became the first member of our Samaj to hold the Presidency of the Federation of Sri Bardai Brahmin Samajs UK. During this time, the Samaj's long cherished dream of publishing the directory of all UK Bardais was fulfilled. Despite his younger years, he commanded great respect from all members of the Samaj. With all his quiet abilities, he set unbeatable standards in the Samaj committee. "I am delighted to offer my best wishes and hearty congratulations to the committee for launching the new website of our Samaj. I hope this website will form an essential part of our Samaj activities intended to incubate our members' minds and to reflect the dynamism and excitement of the Samaj on an ongoing basis." "It was duty to take the reigns during a difficult period in the London Samaj's history. My abiding memory is of a young, talented and forward looking Committee who shared my commitment to keeping the samaj going. As the oldest president to date, it is my sincerest hope that the Samaj continues to build upon its success." "My association with BBSL goes back to the inception of the Samaj when I was elected as a Committee member to represent the younger generation of our community. I continued to serve in this role for three consecutive years. Later on I had the pleasure and privilege of serving the Samaj as President on two separate occasions. Latest of which was in the year 2002 when I had an opportunity of representing BBSL at the Diwali Celebration at Peterborough, organised by the Federation Of Sri Bardai Brahmin Samajs (F.O.S.B.B.S.). During this function our present members directory was officially launched. Also, during the early part of 2002 B.B.S.L organised an event of Samuh Yagnopavit Sanskar in the presence of His Holiness Swami Shree Satyamitranad Giriji of Haridwar (India), as a guest of honour. Finally, I would like convey my best wishes to BBSL for a bright and prosperous future." 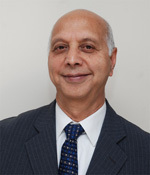 "I joined the Bardai Brahmin Samaj London Committee in 1991 and never looked back. As a committee member I enjoyed taking part in BBSL and Federation of Sri Bardai Brahmin Samaj events both as a organiser and participant. It was with great pride when I was elected as the first female to the post of President of Bardai Brahmin Samaj London, this gave me the opportunity to fulfil my wish to do something for our samaj. Our samaj performs an important role in preserving our culture and traditions in the generations to come by encouraging participation in festivals such as Diwali, Navratri and Janmastmi. The intention of our samaj has always been to mobilise a movement of morality by inspiring children, youth and adults to adopt a peaceful, purposeful way of life. Also to create and foster a community unity where people support each other, exchange ideas and work together for the welfare of us all. To the young generation I wish you good luck and best wishes for a bright and progressive future for our samaj!"